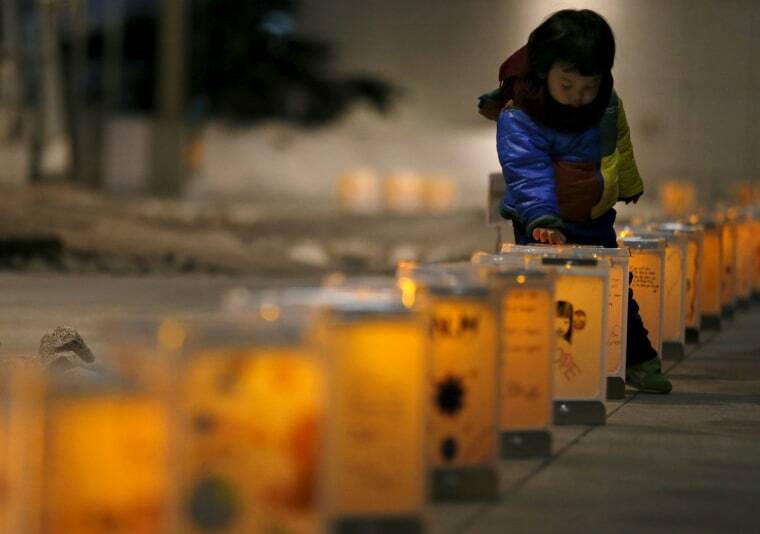 Japan on Friday mourned the thousands who lost their lives in the massive earthquake and tsunami of March 11, 2011. 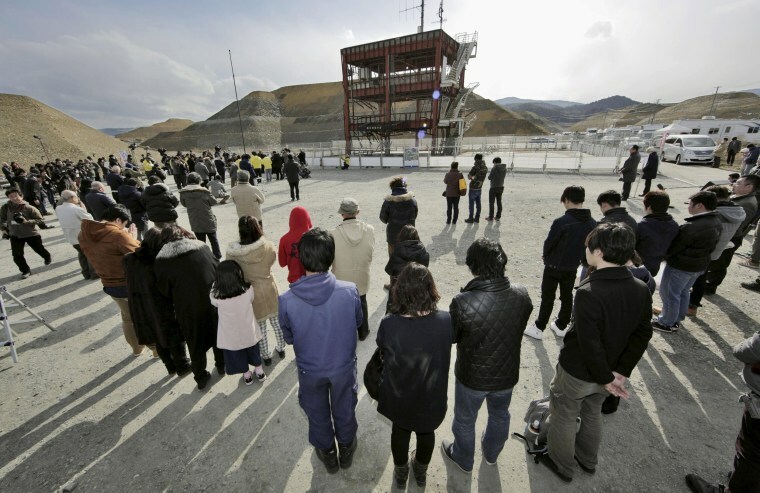 People observe a moment of silence at 2:46 p.m. (0546 GMT), the time when the magnitude 9.0 earthquake struck off Japan's coast in 2011, in Minamisanriku town, Miyagi prefecture. 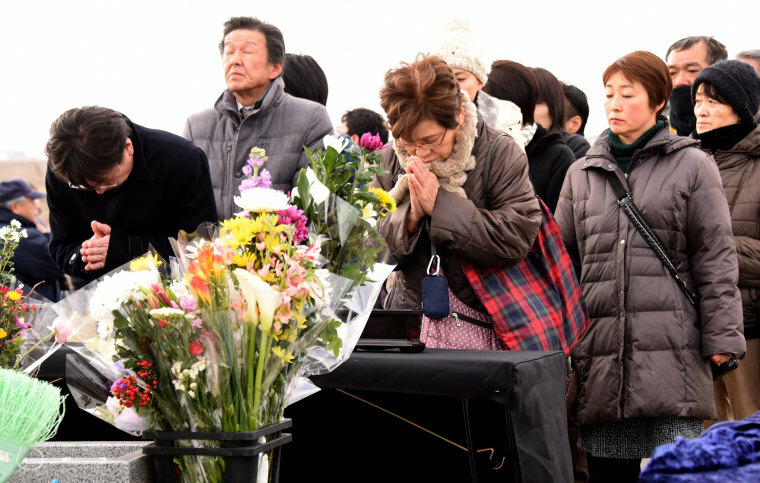 People pray for victims at an altar in Sendai, northern Japan. Lanterns from the northern Japanese city of Natori are illuminated during an event to pray for the reconstruction of areas devastated by the earthquake and tsunami, and mourn victims of the disaster at the Canadian embassy in Tokyo, on March 10, a day before the five-year anniversary of the disaster. 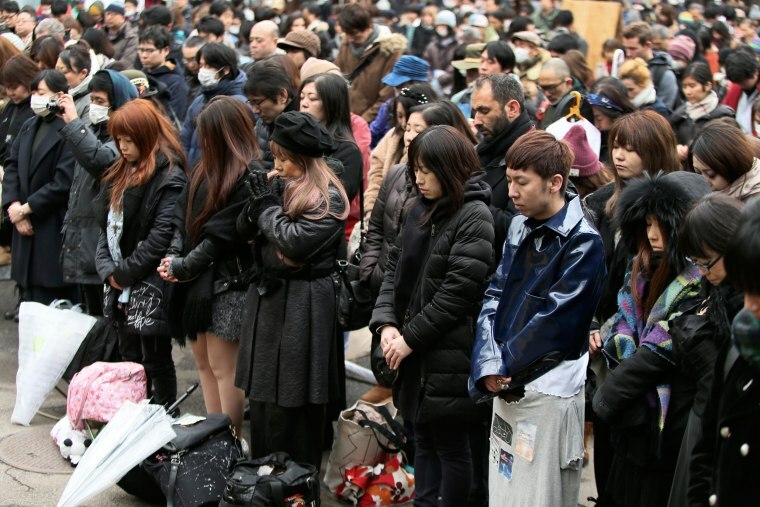 People observe a moment of silence during a special memorial event in Tokyo. 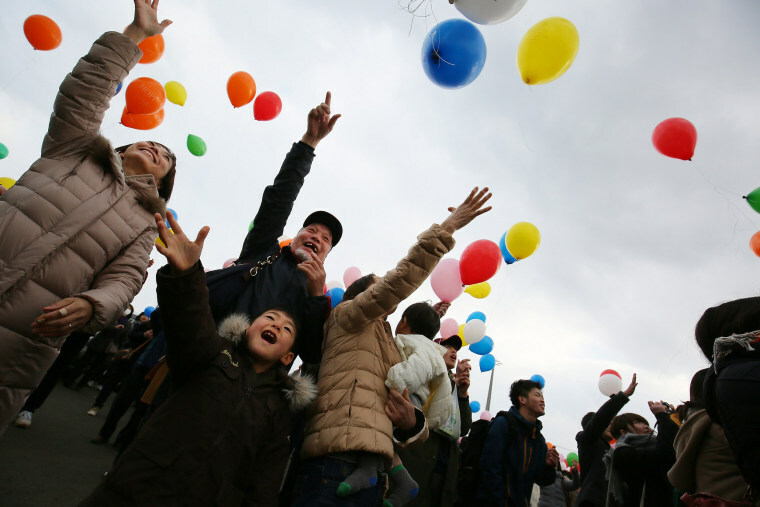 Balloons are released to memorialize victims during a ceremony in Sendai, Japan. 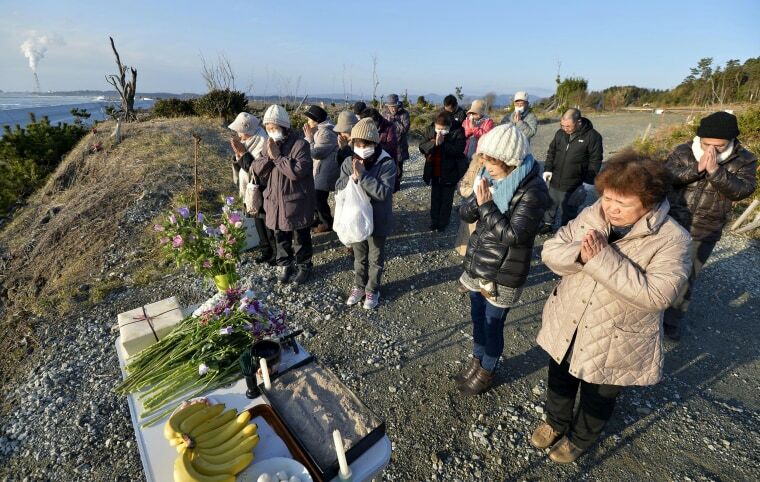 People pray toward the sea in remembrance of the victims of the disaster in Minamisoma, Fukushima prefectur. 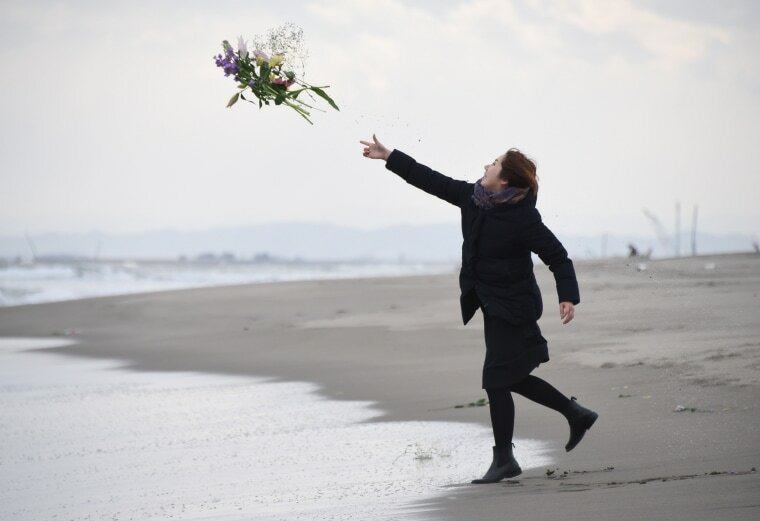 A woman throws flowers into the sea to honor the victims in Sendai, northern Japan. 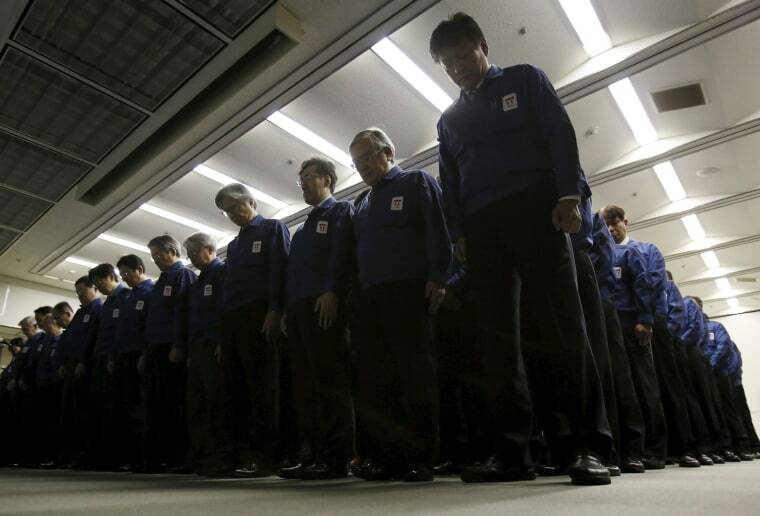 Employees of Tokyo Electric Power Co. (TEPCO), the operator of the tsunami-crippled Fukushima Daiichi nuclear plant, observe a moment of silence at TEPCO's headquarters in Tokyo. 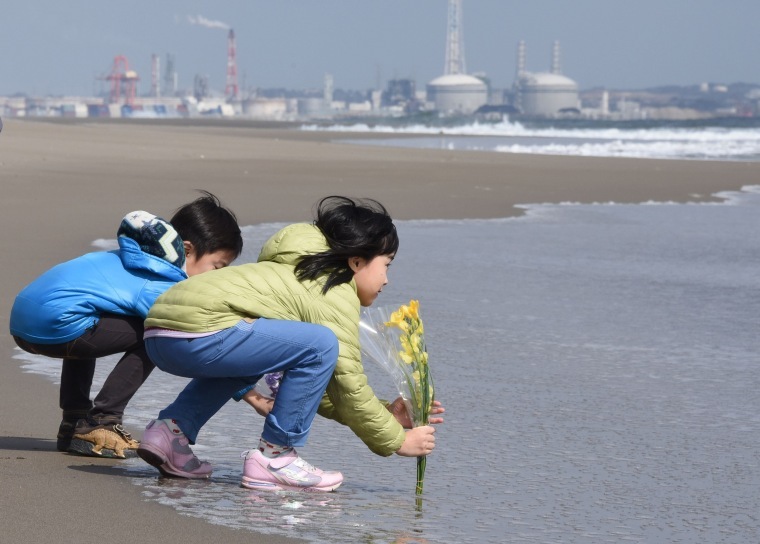 A sister and brother lay flowers on the beach in Sendaifor, in memory of the victims.